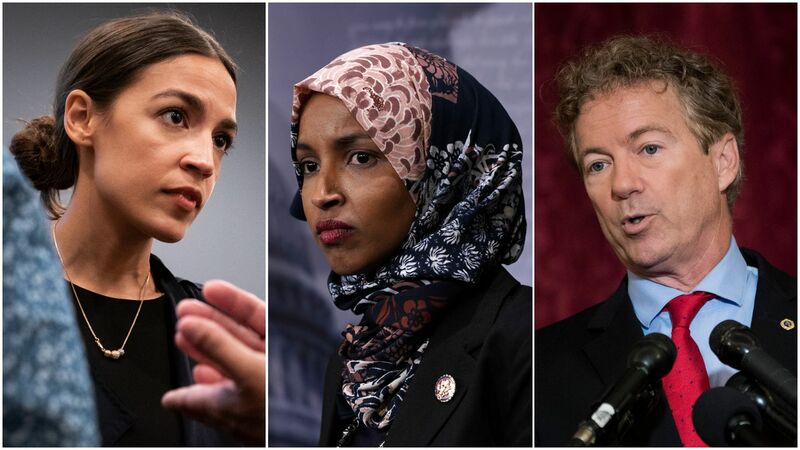 A bipartisan group of lawmakers led by Sen. Rand Paul (R-Ky.) and Rep. Ro Khanna (D-Calif.) wrote a letter to President Trump on Wednesday expressing support for his decision to withdraw U.S. troops from Syria. Details: In the letter obtained by Politico, the lawmakers write that they "welcome the completion" of U.S. withdrawal from Syria "within the next six months" and recommended the use of U.S. weapon sales to Turkey as leverage to deter a "Turkish military assault on Syria's Kurds." Trump's initial decision to hastily withdraw from Syria drew criticism for the possibility that it could leave the U.S.' Kurdish allies vulnerable to a Turkish military campaign. Go deeper: Bipartisan senators call Trump's Syria withdrawal a "costly mistake"